Having your cat or dog vaccinated provides the foundation for a long, healthy life. While the law mandates that pets receive the rabies vaccine, others are just as important. Keeping your pet up-to-date on all of his or her shots is the best and most affordable way to avoid potentially devastating diseases. At Animal Medical Center of Emmett, we offer the vaccines you need to keep your pet healthy. Puppies and kittens should be vaccinated as early as possible. This helps protect them from disease once they are no longer receiving antibodies from their mothers. Combination vaccines - like FVRCP for cats and DA2PP for dogs – are highly recommended. These vaccines protect animals from diseases like leukemia, parvovirus, and distemper. Depending on your pet’s lifestyle and unique environmental factors, you may also want to consider additional vaccines for things like Bordetella, leptospirosis, and Lyme disease. Your vet can help you determine which vaccines are best suited to your pet. At Animal Medical Center of Emmett, we believe that vaccines save lives. Keeping your pet up-to-date on his or her shots helps prevent devastating diseases and ensures a long, healthy life. To find out what vaccinations your pet needs, please contact us to schedule an appointment. 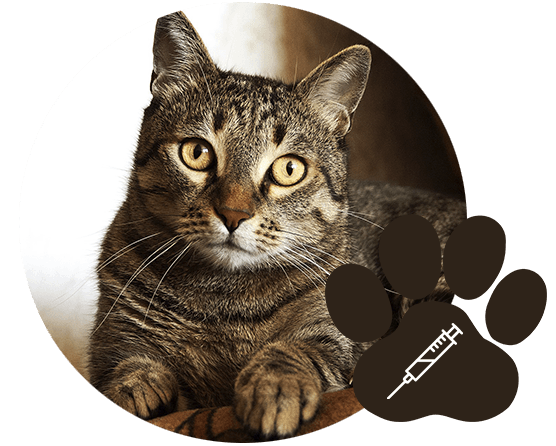 Animal Medical Center of Emmett offers cat and dog vaccinations in Emmett, Sweet, Boise, Caldwell, Sand Hollow, Letha, New Plymouth, and the surrounding communities in the Gem County, Idaho areas.